In 2017, UNLV International Gaming Institute (IGI) began partnering with CORE, powered by The Rogers Foundation, to show local Las Vegas high schoolers the limitless careers within the hospitality and tourism industry. In two years, the Young Executive Scholars Hospitality and Tourism Program (YES) has received an outpouring of support from properties across the Strip and throughout the Las Vegas Valley. Expanding to include even more career exploration opportunities for Las Vegas youth, this year UNLV IGI is proud to announce the inaugural “A Conversation with Nevada Women in STEM” program. This one-day conference, to be held on October 26, is designed to introduce twenty-five high school girls to the careers in science, technology, engineering, and math (STEM) that exist in Las Vegas—both on and off the Strip. Program participants will learn from female executives in top Las Vegas companies like Caesars Entertainment, Tesla, Rob Roy’s Innevation Center, powered by Switch (where the program will be held), Bloom (the city’s first all-female innovation incubator), and UNLV. Simultaneously emphasizing the importance of a university education and encouraging young women to pursue careers in science and engineering, “A Conversation with Nevada Women in STEM” will give high schoolers the chance to make their dream careers a reality—beginning with $1,000 individual college scholarships for each of the participants, courtesy of Find Your Grind—an LA-based nonprofit—and Aristocrat Technologies. “Now more than ever, we need to empower young women and teach them that careers in STEM fields are well within their reach. And that starts by meeting female roles models that are right in their backyard. 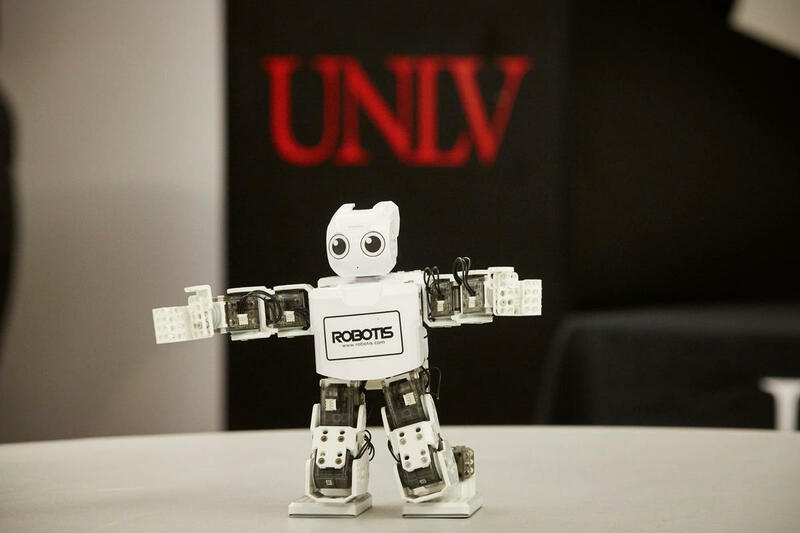 We want them to think: ‘I can and I will,’” says Shekinah Hoffman, UNLV IGI special projects coordinator, gender and diversity PhD researcher, and thought leader behind the program. To find out more or to become a sponsor of any of IGI’s diversity and community outreach initiatives, please visit unlv.edu/igi/yes or email Shekinah Hoffman at shekinah.hoffman@unlv.edu.